People all over the world regularly think about opening a pizza restaurant, but are often unaware of how much hard work and expense may be involved with operating a pizzeria. In theory, operating a pizza restaurant seems quite simple, but in actuality, the pizza business can be very competitive. In lots of communities, there are an abundance of pizzerias, and delivery service is offered by many of them. Before any other details can be worked out, it must be determined if enough capital is available to open the establishment, and sustain it during slow periods. One of the main reasons why restaurants go out of business is because of a lack of operating funds. If it is established that there is enough capital to go into business, then the search for a suitable business location must begin. It must be determined how many other pizza restaurants are doing business near potential locations, and potential walk-in traffic should be measured. When a potential location formerly housed another pizzeria, the reputation of the former restaurant should be taken into consideration. If the previous eatery was known for poor service or low quality food, some people may associate any new business there with the previous negative experiences. Once a location has been chosen, a name and a menu for the restaurant must be selected. It must be decided how many different sizes of pizza pies will be offered, as well the thickness of the crust. Sauce and dough recipes need to formulated, as do any recipes for items such as pasta sauces, salad dressings and desserts. Deciding if submarine sandwiches, appetizers, salads and entrees are going to be served must be done, as well as deciding if the restaurant should apply for an alcoholic beverage license. Hiring a good crew of employees is a crucial part of running a smooth-operating restaurant. It can sometimes be difficult to find qualified cooks who are able and willing to perform tasks exactly the way that management is seeking. If the restaurant is going to feature sit-down dining, then waitstaff and dishwashers will have to be hired. As far as pizza delivery is concerned, there are advantages and disadvantages present for the restaurant owner. 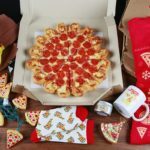 If it is decided that the restaurant is going to offer pizza delivery, the pizzeria can utilize its own staff of drivers, or it can team up with one of the several food delivery services that are now available. Regardless of where the location may be, pizza delivery customers are basically seeking dependable service with their food orders. The dependable, on-time pizza delivery Kirkwood Mo, Springfield, MA and Chicago, IL residents are used to receiving keeps them coming back as regular customers. When the customer is happy, business booms. Whether it’s a small, take-out spot that specializes in pizza slices, or a large, dine-in spot that regularly hosts weddings and banquets, opening and operating a pizza requires a lot of hard work and dedication. If a pizzeria consistently produces tasty, high quality food, people will come to partake of it. Again, when customers are satisfied, business will continue to grow.